Convenient e-channels! 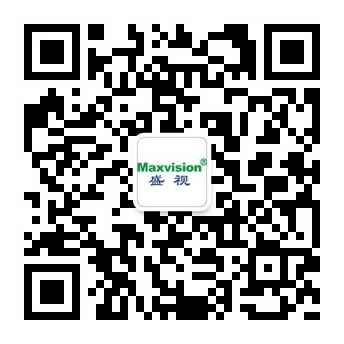 - Corporate news - Maxvision Technology Corp. In the just finished May Day holiday, more people took outbound travels. According to Guangzhou Daily, on the first day of the holiday, Gongbei Port in Zhuhai witnessed more than 300,000 of passengers, much more than the same period last year. With the increasingly less strict entry-exit policy of our country, The Ministry of Public Security of the People's Republic of China has issued lots of convenient actions represented by gradual opening of individual travels of the residents of mainland China and increasingly more investments into ports by coastal cities, suggesting that the inbound and outbound passengers of ports will still increase greatly. On the other hand, the existing inbound and outbound passengers of some parts have exceeded the original design capabilities; the conventional manual customs clearance mode is more and more difficult to meet the requirements for quick, convenient and smooth customs clearance; for big ports such as Gongbei Port with an average daily passenger flow of about 280,000, problems including insufficient inspectors and low manual inspection and release speed are increasingly serious. For smooth customs clearance at ports, higher work efficiency of border inspections and better service for reform and opening-up and local economic construction, it is necessary to strengthen the work efficiency of port staff through high technologies. At present, the biometric identification technologies that can realize quick customs clearance for inbound and outbound passengers are mature. Our domestic first automated passenger clearance system is based on such a system enabling a passenger to realize customs clearance by putting a finger of his on the fingerprint identification system. According to Zhujiang Evening News, our automated inspection system can shorten the customs clearance time of each passenger from 45 seconds (the average speed during conventional manual inspection and release) to 6 seconds. Take Gongbei Port as an example. It has more than 100 million inbound and outbound passengers each year on average, including 60% inspected and released by the e-channels. This system is a product based on our more than ten years of experience and technologies. As an inspection system supporting automatic identification of such information of inbound and outbound passengers as identity documents, fingerprints and faces, it can read, compare and identify the information of inbound and outbound passengers automatically, realizing the identification and alarms of escaped criminals and the inspections of normal passengers automatically. Our automated passenger clearance system is now in its sixth generation. Based on the similar products of the previous generations, our sixth-generation automated inspection system fully meets the applicable national uniform hardware and software standards, achieves commitment that “any case filed in one place is usable nationwide of The Ministry of Public Security of the People's Republic of China and, on this basis and significantly improves the speeds and stability of identity document reading, fingerprint identification, face recognition and channel detection, enhances the performance of industrial personal computers, reduces the computer loads and speed up passing. Due to its modular design, it has a simple and elegant appearance, more convenient installation and maintenance and better extendibility and integration. We have found a way to solve the problems of inbound and outbound passenger inspections with help of modern high technologies. This system is now maturely used throughout the country, providing convenience for inbound and outbound passengers. In particular, it relieves the pressure of customs clearance in festivals and holidays greatly and ensures smooth customs clearance for ports and is therefore popular among inbound and outbound passengers and user entities.